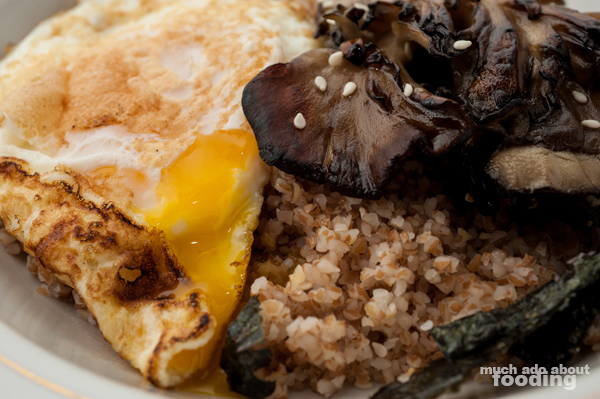 Grain + fried egg + something slightly savory and hefty = sounds like breakfast. 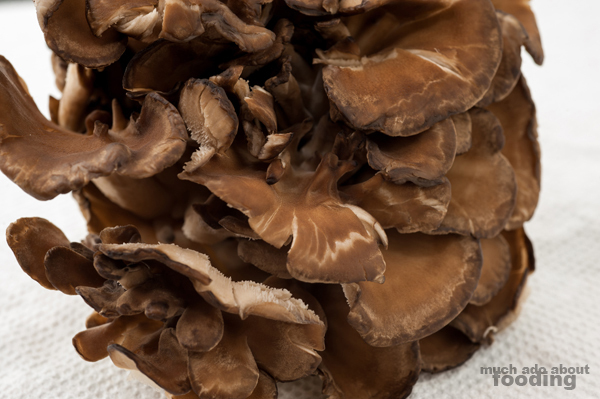 I love the versatility that mushrooms provide, and when I got ahold of maitake (also known as hen-of-the-woods), I decided that sometimes simplicity can yield the best dishes. 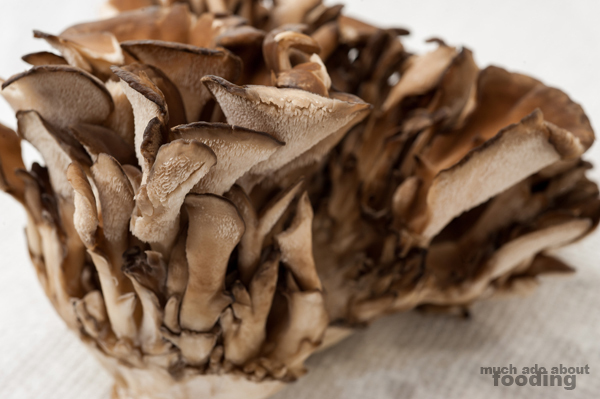 This mushroom grows in a cluster so to make it stretch a few servings in amount, you can tear at the base into the number of servings you want. Since I was going for a heartier style, I split a regular-sized cluster into three fat chunks. 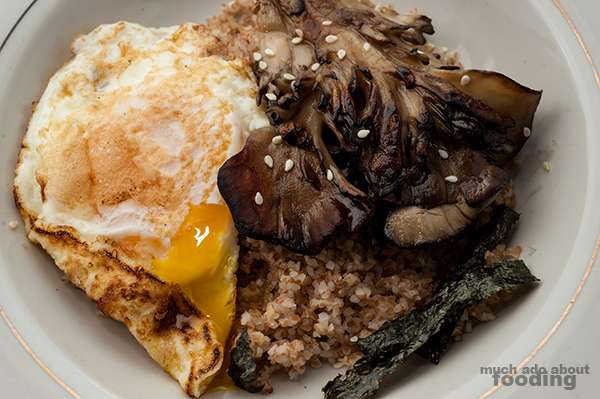 Seared on each side and placed on top of nutty bulgur wheat, the maitake proved to be a crucial to a plate that heavily reminded us of breakfast, especially when paired with a runny egg. Nori and sesame seeds completed the dish well. All in all, this is a simple recipe for success! 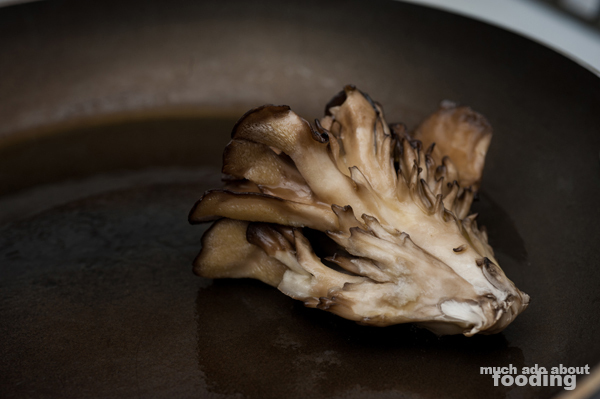 For the most part, cultivated mushrooms do not need to be washed or soaked in water to be cleaned. Wipe off any excess dirt. 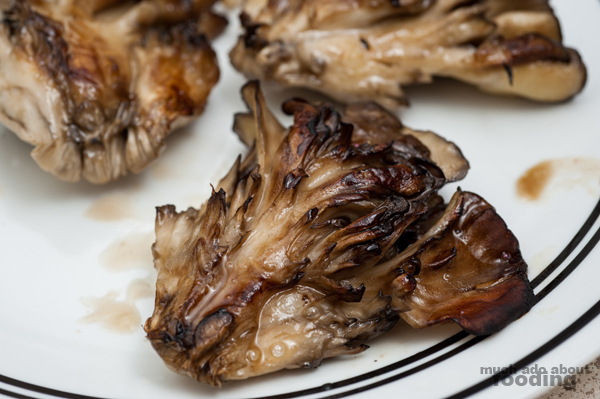 Rip maitake cluster into three or four pieces from the base. Brush all exposed sides with mirin. 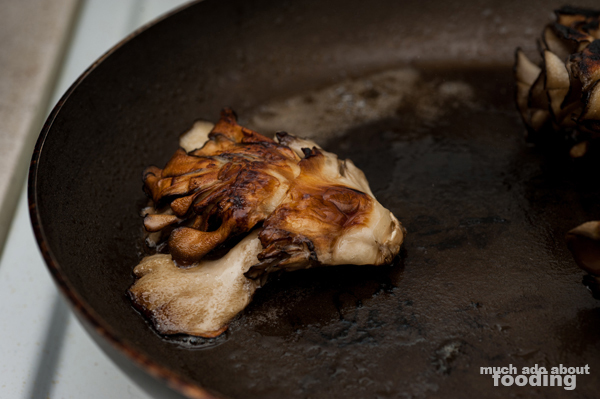 Heat oil in a large skillet and sear the mushroom chunks until well-browned. I mentioned cooked bulgur in the ingredients list because it is the base. Fry up eggs so that the yolk is still runny. 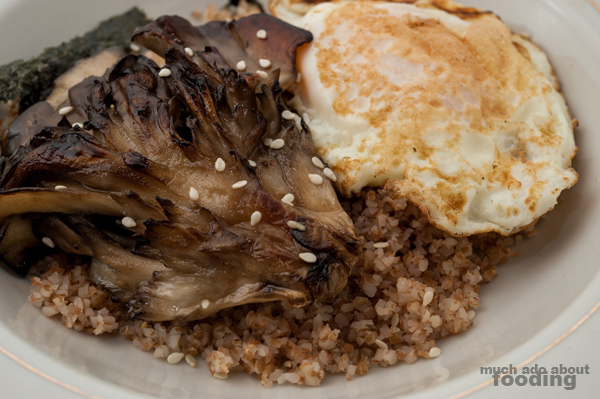 Place maitake and fried egg on the bulgur, sprinkle with sesame seeds and nori strips, and enjoy! See? Simple.